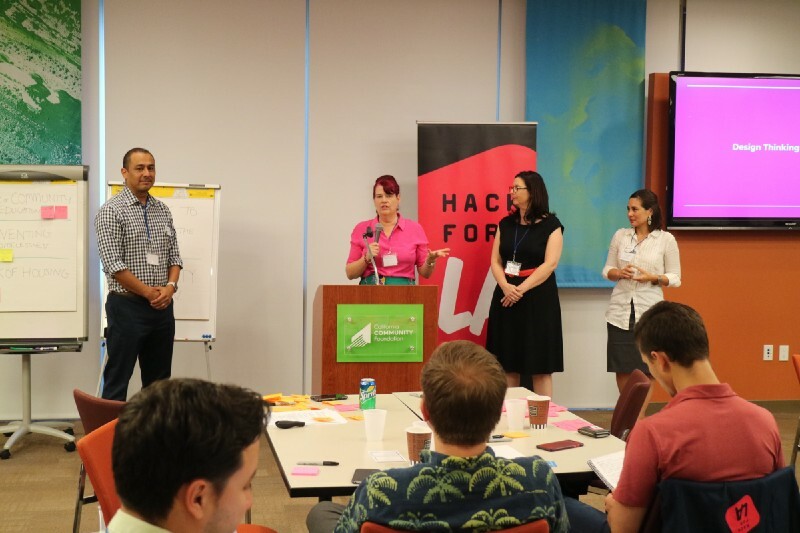 We're LA Counts, a growing crowd of data practitioners, hackers, civic activists, journalists, students and govt workers using open data to tell the stories of Los Angeles County and make it better, safer, cleaner, and more equitable. Explore datasets + data stories in the library, find a topic that moves you + join a working group, write a story backed up by data, connect with others + volunteer your data expertise. It's time to do something! We harvest data from local, state, regional and federal agencies that maintain open data portals. Together we’re working with the community to co-create universal dataset specifications and metadata standards. We spotlight community work that brings awareness to areas of special need and interest for Los Angeles County. Projects featured here are created by the LA Counts community. Get involved and your work could appear here! Want to know what's happening data-wise across the county? So do we! We solved that problem with a calendar of data-related events in the Get Involved section. That's also the section for you to find volunteer opportunities to share your data chops with local nonprofits. Is there some cool data event or opportunity that isn't listed? Tell us about it in the Contact Us section. Connect with Los Angeles County's open data community. Help build LA Counts: we're open source AND open data. How well do you know Los Angeles County? Community topics focus in on what we do know and what we don't know about our most challenging issues. Dive in to see how you can use data to help make our county a better place to live, dream, and grow. Sure, data are nice but so are stories! We like seeing visualizations, learning methodologies, meeting practitioners. Click that button above to see our five types of data stories: articles; visualizations; profiles + interviews; methodologies; white papers + research.